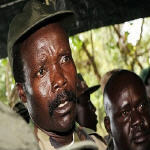 Elusive Ugandan rebel leader Joseph Kony has renewed contact with the Ugandan government, seeking an immediate ceasefire and resumption of peace talks. 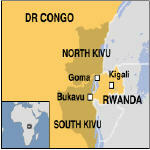 Kony's militants are terrorizing the local populations across a number of central African nations. 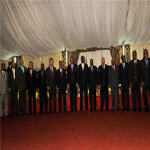 Congolese Communication Minister Lambert Mende used the example of Mr Ndahimana to renew calls that Rwanda send Congolese rebel leader Laurent Nkunda to Kinshasa to face trial. 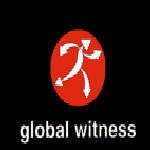 The decision by British-owned Amalgamated Metals Corporation (AMC) and its subsidiary THAISARCO to suspend purchases from the Democratic Republic of Congo (DRC) is a regrettable move, which suggests the company is not serious about improving supply chain due diligence, said campaign group Global Witness today. The U.N. Special Representative of the Secretary-General for Children and Armed Conflict says the past year has been terrible for children in war-torn regions. 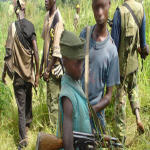 In a report submitted to the U.N. Human Rights Council, the Special Representative highlights the grave situation of child soldiers and other children in a number of conflicts around the world. 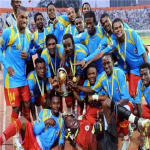 The inaugural Champions of the African Nations Championship, DR Congo will have to beat Gabon over two legs to make it to the 2011 edition. Also known as CHAN, this tournament is specifically for players competing in their country's domestic league. 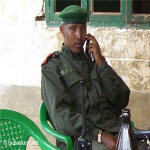 The United Nations Mission in the Democratic Republic of Congo (MONUC) has denied any role of a general being sought by the International Criminal Court (ICC) in the anti-insurgency operation. The Democratic Republic of Congo says it will re-integrate Internally Displaced People (IDP) into society after the United Nations closes camps in the restive Kivu provinces. 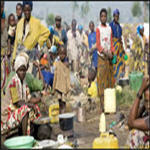 The United Nations High Commission for Refugees announced that it will be closing IDP camps this week after a sharp drop of violence in Kivu. 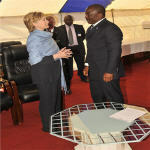 Leaders of the Southern African Development Community assembled for a summit Monday in the Democratic Republic of Congo decided not to examine progress by Zimbabwe's national unity government and discuss issues that continue to trouble power-sharing in Harare, but will hold an extraordinary summit in a few weeks focused exclusively on Zimbabwe.